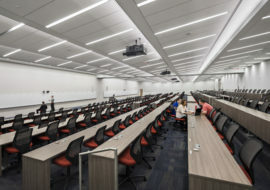 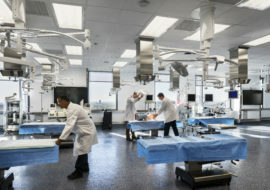 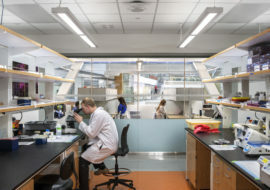 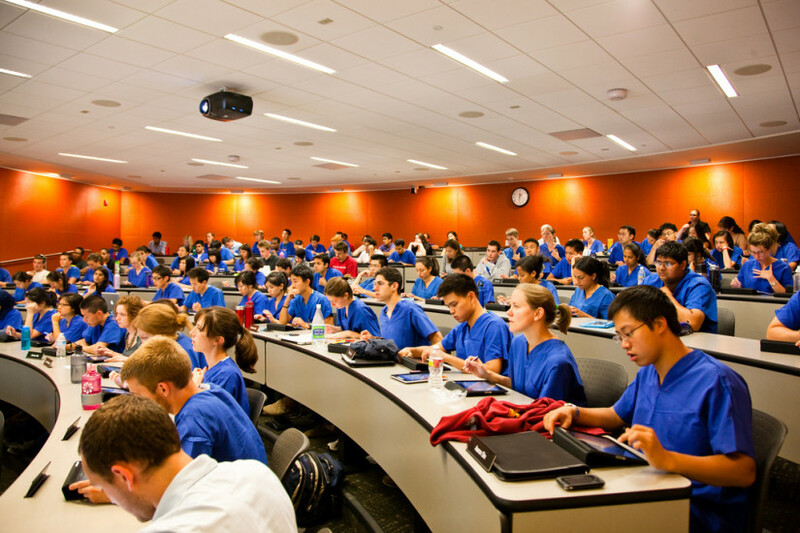 Stanford University’s Li Ka Shing Center for Learning and Knowledge transformed medical education with advanced technology that cultivates collaboration in an immersive facility for new students and experienced professionals. 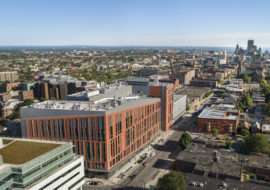 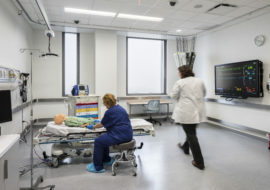 The facility houses four floors for medical simulation and virtual reality as well as a conference center, classrooms and study areas. 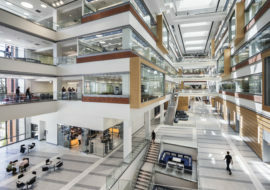 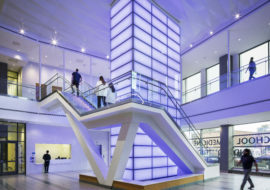 Shen Milsom & Wilke provided acoustical, audiovisual, information technology, medical equipment planning and security design services. 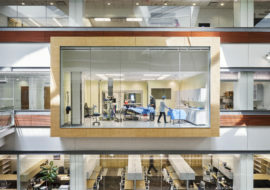 Working with multiple Stanford Medicine user groups, our multi-disciplinary team incorporated new training tools and systems, ensuring ease of use and preserving the aesthetic design goals. 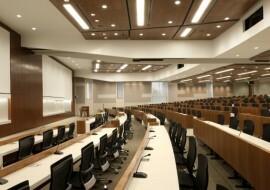 Acousticians provided vibration testing and isolation and recommended interior treatments. 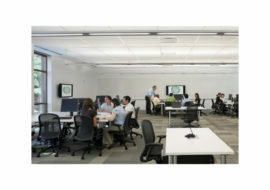 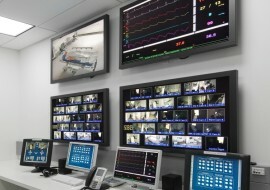 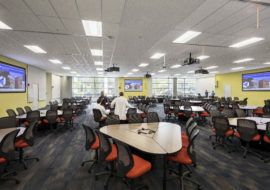 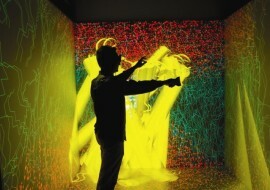 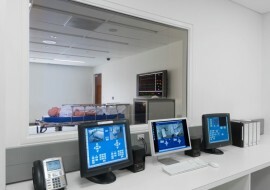 The audiovisual design provided distance-learning, video-capture and playback capabilities for all classrooms as well as recording and editing on the simulation floors. 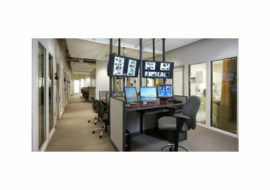 A robust structured cable plant infrastructure supports IP-based transport and future bandwidth-intensive applications. 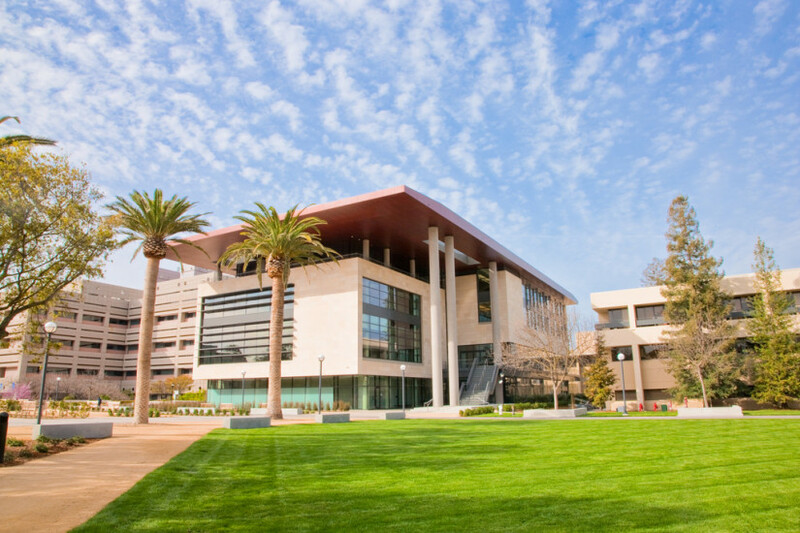 Wireless connectivity provides seamless access to the Internet and Stanford Intranet. 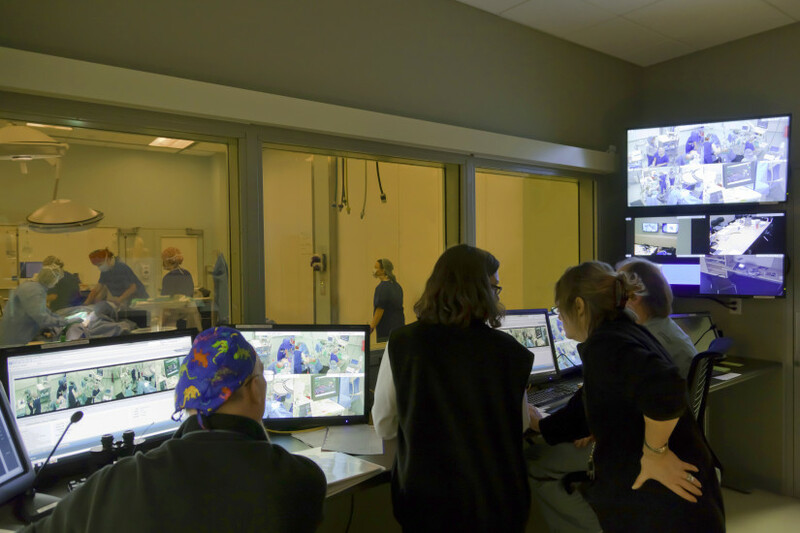 Our medical equipment planners coordinated with vendors, evaluated their systems’ capabilities and ensured interoperability. 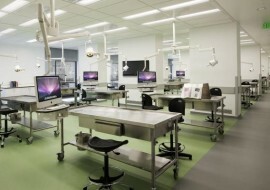 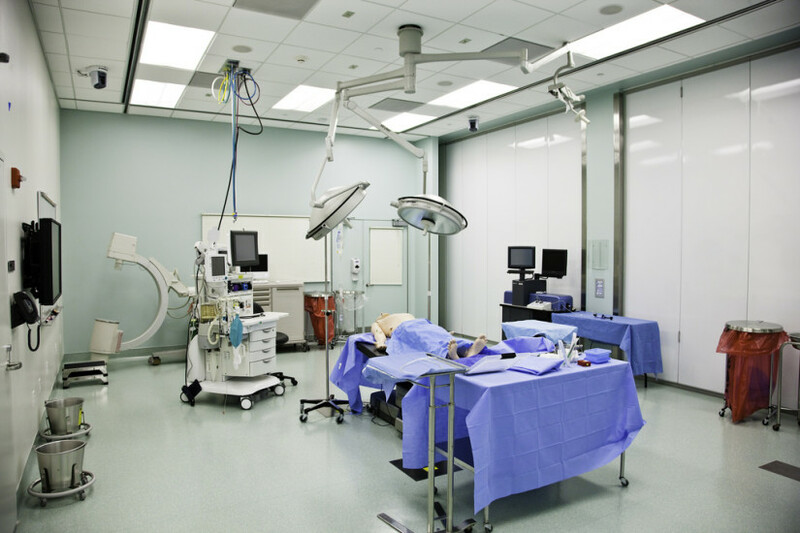 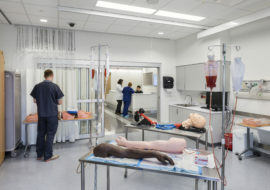 The reconfigurable Immersive Learning Center can simulate a range of medical environments using mannequins, models and equipment.